While a violation of the federal False Claims Act is a principle reason why many qui tam whistleblower lawsuits are filed, a breach of either of two other key laws, the Stark law and the Anti-Kickback law, is also grounds for launching a qui tam whistleblower lawsuit. As we will see in the final installment of this week’s series, some of the most flagrant cases of Medicare fraud involve violations of either the Anti-Kickback law, the Stark law or sometimes one or both and the False Claims Act. Regardless of the cause of action, the qui tam lawsuit specialists at the Brod Law Firm are committed to representing the brave whistleblowers who step forward with information on any of these violations. Of the two pieces of legislation, the Stark law, 42 U.S.C. Sec. 1395nn, is the more recent to be enacted, becoming law in 2011. Under the law, named after its sponsor, former Bay Area U.S. Rep. Fortney “Pete” Stark, physicians are prohibited from referring Medicare or Medicaid patients for designated health services to a medical provider in which the physician or a family member holds a financial stake, unless an exception applies. 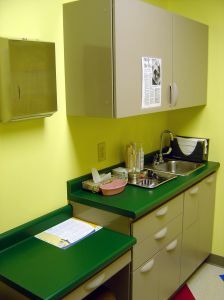 The law also prohibits designated health services entities from submitting claims to Medicare that originate from a prohibited referral. The Stark law may be relatively new, but it has already managed to land several violators in court, including a case against one that is believed to have generated the largest damage amount against a community hospital in U.S. history. The case, against the Tuomey Healthcare System of South Carolina, revolved around lucrative compensatory arrangements Tuomey had with several part-time physicians to refer patients to its medical facilities. The jury in the federal lawsuit found that Tuomey’s arrangements violated both the Stark law and the False Claims Act, and a federal judge this month ordered Tuomey to pay more than $276 million in fines and penalties. The judge also rejected Tuomey’s motions for a new trial, according to The State. As its name would imply, the Anti-Kickback law, 42 U.S.C. Sec. 1320a-7b(b), prohibits the offering, tendering, soliciting or receiving anything of value to induce or compensate for referrals or generate federal healthcare program business. First enacted in 1972, the act stipulates explicitly that “a claim that includes items or services resulting from a violation” of the act will be considered a bogus or fraudulent claim that falls under the False Claims Act. The St. Joseph Medical Center, based in Towson, Md., agrees to pay $22 million to settle a lawsuit alleging payment of kickbacks to MidAtlantic Cardiovascular Associates for purported professional services deals in return for MidAtlantic’s referrals to the medical center. The former owners of the City of Angels Medical Center in Los Angeles agree to pay $10 million for a scheme that involved doctors at the center allegedly paying recruiters kickbacks to find homeless patients, who were administered medical treatments, many of which were deemed unnecessary but were billed to the federal government. As we have seen in this series, there are a variety of schemes that unscrupulous medical providers have employed in order to defraud Medicare and Medicaid, and therefore the taxpayers. And, as we have also seen on these pages, the collateral damage from these fraudulent endeavors has extended to higher costs for honest Medicare and Medicaid recipients. As a matter of justice, if you have any knowledge of and information about healthcare fraud, we urge you to call the qui tam attorneys at the Brod Law Firm for a free consultation.